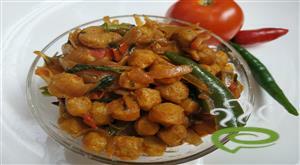 Pavakka Theeyal – Nadan Style is an awesome traditional vegetarian delicacy that goes well with hot rice. 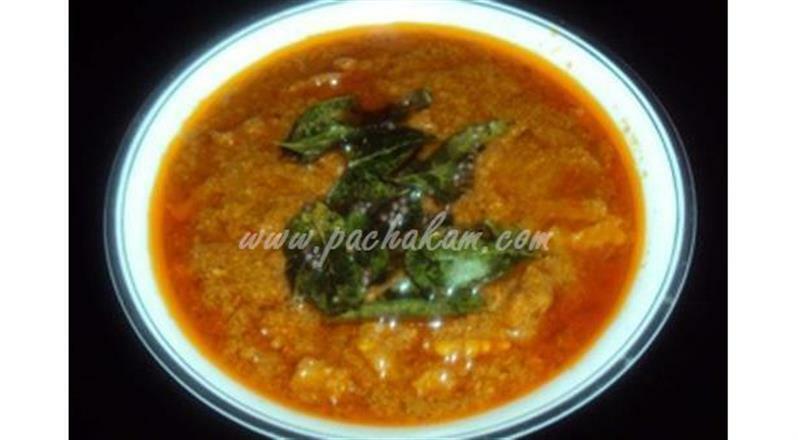 Pavakka Theeyal – Nadan Style with its spicy flavorful gravy is simply irresistible and tempting. 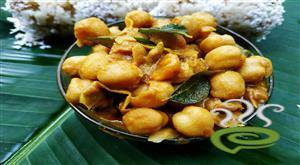 Pavakka Theeyal is unique and special with fried bitter gourd pieces cooked in a spicy masala mixture. 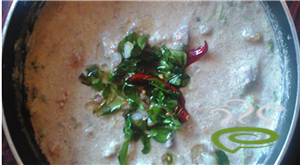 Bitter gourd is nutritious, rich in vital nutrients required for body. 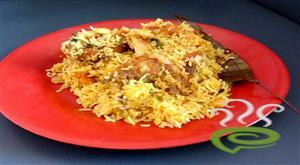 Pavakka Theeyal – Nadan Style is an easy to prepare tasty dish that can be prepared with limited ingredients. 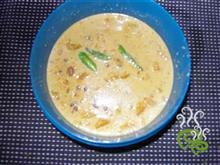 You can explore a well detailed Pavakka Theeyal – Nadan Stye here that can be easily prepared at home. 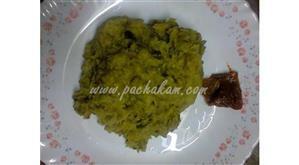 For preparing Pavakka Theeyal - Nadan Style, cut the bitter gourd into small pieces and wash it with turmeric powder and salt. 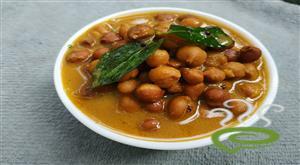 Soak the tamarind in little water and grate coconut. Keep aside. Heat little oil in a kadai, add bitter gourd in it and fry for 2 minutes. Add tamarind juice and salt. Cook the bitter gourd. In another kadai, add little oil and heat it. 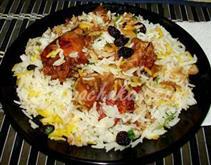 Add coconut, shallots, cumin seeds, chilly powder, coriander and fry till color changes. When coconut turns brown color, allow it to cool and grind it in mixer. Add the paste and green chillies to the bitter gourd and cook the masala. Splutter mustard seeds and add it to the curry.